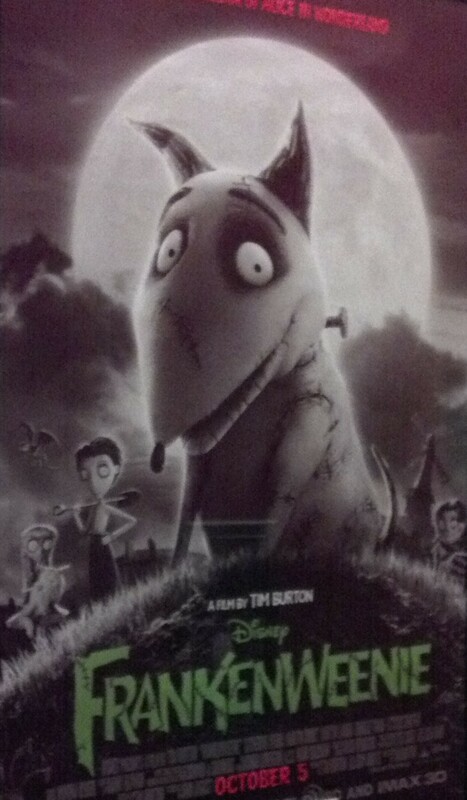 Drawing from Mary Shelley’s Frankenstein as well as his own childhood experience of losing his dog, filmmaker Tim Burton married the two by turning it into a short film called Frankenweenie. Burton hoped to further develop the 1984 short into a full-length motion picture. With the help of some close friends combined with the science of stop-motion animation, Frankenweenie comes back from the dead & can be found in theaters. When Victor’s dog Sparky tragically dies, he instantly becomes saddened, as he has lost his best and only friend in the world. In the midst of his depression, Victor becomes inspired to bring Sparky back to life in classic Frankenstein fashion. While his experiment may have worked, he doesn’t realize that his experiment has far reaching effects threaten the town & ultimately, their special bond. 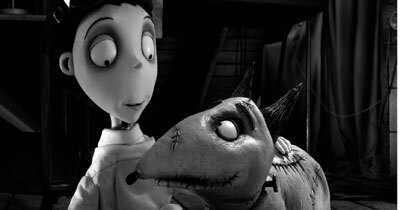 While the story elements in Frankenweenie are practically true to the original short (including a near recreation of the fat lady with glasses), it expands a few of the sequences which really helps audiences understand & sympathize for both Victor and Sparky. The themes that ran through this movie beg the question, “What you do with what you’re given?” as well as the obvious love for a pet. I mean, it’s a story about a boy & his dog; how could you completely hate the concept? The movie was very witty as it integrated as many horror related references into the movie possible. With these many nuances & jokes, this film is indeed a love letter to the entire popular culture that is surrounded about around the monster movies & the occult. The fatal flaw in this movie is that the subplot seemed to overpower the overall movie. I love the original idea of the movie; a boy struggling to deal with the loss of his best friend as well as keeping this secret. But the original heart & intent just seems to get lost in its extending & over accessorizing the story. As this movie is about bringing a dog from the dead, there are a lot of dark themes in this movie. There are not only people emotional moments but also um some very intense sequences that involves death that may scare and or frightened little children so you may want to think about how are you may want to get your child and see if this is something that they should watch. 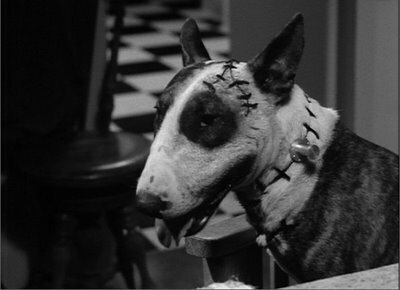 Frankenweenie is one of those movies that subconsciously comments on itself. On the one hand, it has good intentions, smart humor, & genuine heart that cannot be denied. However, this feeling diminishes amidst a subplot that simply overpowers the simplicity of what made this film appealing in the first place.